Leafletdrop is a complete leaflet distribution service from desktop to letterbox. It's the smart, easy, low-cost way to reach local customers and promote your business through leaflet advertising. We give you access to over 27 million households in the UK. 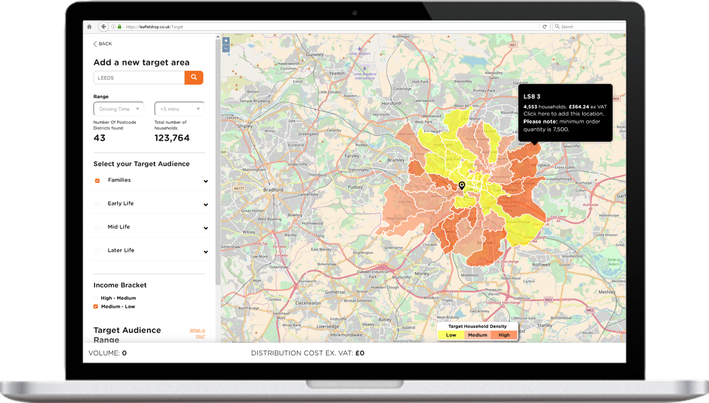 You can target postcodes around your business with our simple household targeting tool. Read our local leaflet distribution pages to find out about leaflet distribution in your local area. From estate agents to electricians and bakeries to bars, Leafletdrop is already helping businesses like yours spread their message effortlessly. 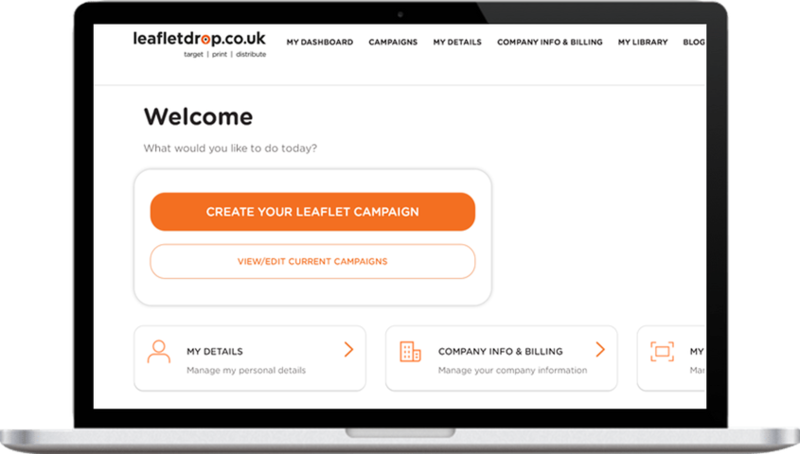 No matter what your size or sector, Leafletdrop offers low-cost, high-impact leaflet campaigns to generate calls, clicks or footfall. *Offer only available if you have not booked a campaign with Whistl or one of our partners or carriers within the last 18 months.